The Chico Police Department is warning residents that the department's main phone line is being used in a phone scam. 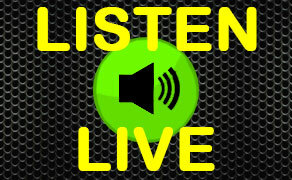 A resident recently informed the Chico P-D of the scam in which the caller tells citizens that they have an outstanding warrant for their arrest by the I-R-S for unpaid taxes. Chico Police says this is a confirmed scam and that the I-R-S would never contact you in this manner. According to a Chico Police Department press release, never pay any amount of funds no matter what the threat from the caller. A man is nabbed by Chico Police after stealing a weapon from Walmart. Employees spotted a man allegedly take a crossbow from the store after 9:15 Wednesday morning. The suspect, identified as 34-year-old Ryan Stephens was then seen walking northbound on Business Lane. Officers located Stephens on East 20th near Highway 99. According to a Chico Police Department press release, Walmart employees positively identified Stephens as the suspect and he was arrested for shoplifting. Police are looking for a suspect in a downtown Chico shooting incident. Chico Police received multiple reports of a shooting near the intersection of of West 6th and Walnut streets around 3:45 Wednesday afternoon. Witnesses reported seeing a suspect in silver sedan allegedly pursuing and shooting at a tan S-U-V. Officers located a Chevy Tahoe with a shattered rear window at an apartment complex on Pomona Avenue. The owner told officers that an unknown Hispanic man allegedly shot at him following a verbal altercation. According to a Chico Police Department press release, the victim was unharmed in the incident. A multiple vehicle crash on Highway 99 blocked traffic in north Chico this morning. The collision happened on Highway 99 near Garner Lane before 8:30 between a Honda Pilot, a Lexus S-U-V, and a Toyota Corolla. According to the CHP's incident information page, the vehicles were blocking the roadway affecting the morning commute. SACRAMENTO, Calif. (AP) — State water officials are considering whether to adopt a range of permanent restrictions against wasting water as signs point again to fears that California may be creeping into drought. The restrictions include prohibitions on watering lawns so much that the water flows into the street, using a hose to wash down sidewalks, or using a hose without an automatic shut-off nozzle to wash cars. U.S. drought monitors last week declared nearly half the state is back in drought. Chico Police are investigating a late night stabbing incident. Officers arrived to the area of Manzanita and Ellene avenues after reports of an assault around 10:30 Monday evening where they found a 62-year-old man who was bleeding. Police say the man was having difficulty communicating with officers. The man was taken to Enloe Medical Center where it was discovered that he had been stabbed several times. Witness told officers that two men allegedly assaulted the victim before running off south in the direction of Lindo Channel. The suspects are described as white males in their 20s. According to a Chico Police Department press release, the motive for the attack is not know at this time. Anyone with information is asked to contact the Chico Police Department at 897-4900. 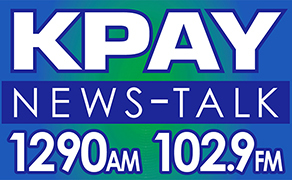 KPAY Morning News will have a special guest Tuesday morning at 8:30am. 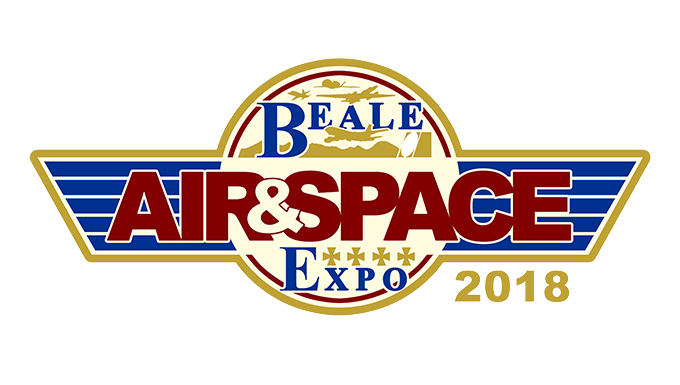 Beale Air Force Base 9th Reconnaissance Wing Commander, Colonel Larry Broadwell, will sit down with the KPAY 1290 Morning News discussing Beale Air Force Base's mission, and the upcoming Air and Space Expo April 28, 2018. Beale AFB is located 10 miles east of Marysville, California. A man is arrested for D-U-I and battery in downtown Chico Sunday. Chico Police received a call before 8 Sunday evening about someone who allegedly crashed their vehicle into a tree at a residence on the 300 block of Hazel Street. Police also learned that the suspect was allegedly fighting with bystanders. An officer arrived and reportedly found several bystanders holding the suspect to the ground. That suspect, identified as Drew Thomas DelGrande allegedly began to fight with the officer and struck him with on the head with his fists. According to a Chico Police Department press release, the suspect was finally detained after a lengthy struggle. Thomas DelGrande was arrested for battery on an officer with injury, resisting arrest by violence, and driving under the influence. Chico Police are investigating shots fired early Sunday morning. Officers were called to the area of Terrance Drive and East 1st Avenue after three to four shots were heard in the area before 3:30 am. However, officers were unable to find any evidence of shots fired. Nearly three hours later Chico Police received a call from a resident of Terrance Drive who said they awoke to find bullet holes in the house. Officers arrived and confirmed that the residence had been struck multiple times by bullets. No one was injured in the incident, according to a Chico Police Department press release. Anyone with information about this incident is asked to contact the Chico Police Department at 897-4900. Chico Police are investigating a shooting during what they're calling a crime spree in the south campus area. Officers arrived to the area of West 2nd and Orange streets before 1:30 Saturday and found a man lying in the middle of the street suffering from a gunshot wound to the back of the head. The victim was reportedly conscious and claimed that he was robbed by two unknown male suspects. The unidentified victim was taken to the hospital where he is expect to survive his injuries. According to a Chico Police Department press release, officers found two additional robbery victims who had been robbed 20 minutes before the shooting. They described the two suspects as white males. The Chico Police Department is asking witnesses of the incident to come forward by calling 897-4911. Latinos in Chico are likely to be denied commercial home loans. This comes after an analysis by Reveal from the Center for Investigative Reporting. Even though Latinos are the largest ethnic group in California, they're likely to be denied loans in rural communities like Chico and Salinas. The investigation found evidence of redlining 50 years after the federal Fair Housing Act banned racial discrimination in lending. A California lawmaker suspended amid a sexual misconduct allegation is suing the Legislature for reinstatement, arguing he's being treated differently than his white colleague. The lawsuit notes Democratic Sen. Tony Mendoza who is Latino, has been suspended but Democratic Sen. Bob Hertzberg, who is white, has not been asked to step aside despite also facing sexual misconduct allegations. Hertzberg and Senate President Pro Tem Kevin de Leon didn't comment on the charges. A law enforcement sweep made multiple arrests in several northstate counties Wednesday. The sweep called Operation Silent Night invovled multiple law enforcement angencies along with the FBI servering 39 search warrants in 10 northern California counties including Yuba, Sutter, Colusa, and Sacramento. This in connection with the Norteno crime organization accussed distributing meth, herion, and firearms using social media. In some cases prison inmates allegedly used contraband cell phones to give orders to those on the outside. Agents reportedly seized several hundred pounds of marijuana, cocaine, and over 30 weapons. A total of 42 people were arrested including two Pelican Bay inmates. PARKLAND, Fla. (AP) — Students and neighbors describe the suspect in the deadly rampage at a Florida high school as a troubled teenager who threatened and harassed peers, talked about killing animals, posed with guns in disturbing photos on social media, and bragged about target practice in his backyard with a pellet gun. (AP) A school official says there are numerous fatalities from the high school shooting in South Florida. Broward County Superintendent Robert Runcie says "There are numerous fatalities. It is a horrific situation." He added, "It is a horrible day for us." The sheriff's statement didn't elaborate on the victims or their injuries. Officers are searching for a suspect in a fatal hit and run in Biggs over the weekend. Butte County Sheriff's deputies and CHP officers arrived at Riceton Highway, north of Biggs Princeton Road around 12:30 Saturday morning and found 23-year-old Richard Benish of Durham deceased. Investigators learned that another vehicle was involved and had allegedly fled before officers arrived. Anyone with information regarding Benish's whereabouts before the crash is asked to contact the Oroville CHP office. Chico Police arrest an alleged bike thief. Earlier this month two expensive bicycles were reported stolen from A Main Hobbies on East 20th Street. Two days later an officer reportedly spotted 31-year- Michael Borden in possession of a bicycle that closely matched the description of one of the bikes stolen. According to a Chico Police Department press release, the bicycle had allegedly been repainted and the serial number was not able to be confirmed so Borden was released. Then on Friday he was spotted by officers but fled the area. Borden was arrested Sunday afternoon on Virginia Street, near 20th Street Park for possession of stolen property and fraud for attempting to license the stolen bike in his name. Officers arrived to an apartment complex on Amanda Way after a report that a vehicle had run over a pedestrian around 11:30 Thursday morning. Officers found a 68-year-old woman pinned under the vehicle. Several officers lifted one side of the car while another officer pulled the woman from underneath. She was transported to the hospital where she later succumbed to her injuries. Investigators believe that the 72-year-old husband of the woman accidentally ran her over. According to a Chico Police Department press release, drugs or alcohol do not appear to be factors in the collision. Oil drilling off the Pacific Coast is opposed by the California Assembly via a resolution approved Thursday. It also asked U.S. Interior Secretary Ryan Zinke to remove California from the proposed leasing plan. The 55-8 vote came on the same day as the only federal hearing in California on the plan. Republicans Randy Voepel of Santee and Travis Allen of Huntington Beach say oil and gas can be can safely harvested. Allen, a GOP candidate for governor, says the move could help lower gasoline prices. The Chico Unified School Board approves the move of a charter school. At Wednesday's meeting the board voted to move Inspire School of the Arts and Sciences from their current location at Chico High School to the district owned Canyon View property off of Bruce Road. The board approved 5 to 7 acres of the 50 acre property to be used for the school's campus. District officials say the move will take around 3 years. They say the funding used to relocate the school will come from Measure K.
The man charged with killing two women on his Arbuckle property gave his plea in court. Martin Ehrke pleaded NOT guilty to the January murders of Kimberly Taylor and Jessica Mazak. Authorities say the two women lived on the property which was reportedly a cannabis growing operation. The Colusa County Coroner's Office says both women were killed from blunt force trauma. Ehrke will be back in court in April. A woman in an apartment on the 2000 block of Amanda Way reported to police after 5 Monday morning that she awoke to find a man allegedly attempting to strangle her. The victim told police that she fought with the suspect. She said the suspect's face was covered be either a mask or a beanie. After the altercation the suspect fled the apartment. Officers arrived but could not locate the suspect. The victim was taken to the hospital for treatment of her injuries. According to a Chico Police press release, the suspect may have also received injuries during the altercation. Any with information on this incident is asked to contact the Chico Police Department. The CHP reported after 7:30 this morning a collision between a school bus and an Ford F-250 truck in Palermo. According to the Cal Trans/CHP traffic incident website, the crash happened in the area of Cox Lane and Palermo Honcut Highway. After 8 this morning the CHP reported that there were minor injuries in the crash - NOT major injuries that was earlier reported. No word on the number of people injured in the crash. Police investigate two shootings that occurred hours apart in the north and south campus areas of Chico. According to a Chico Police press release, the first shooting happened just before 7:45 Friday evening on the 600 block of West First Avenue. Officers arrived and found evidence of a shooting and learned that a black sedan was allegedly seen fleeing the area after the shooting. Then before 1 Saturday morning there were reports of shots fired inside an apartment on the 400 block of Ash Street. Officers arrived and found a large group of people inside. Officers learned that a fight broke out at the party and that an individual allegedly grabbed a handgun and fired a shot before fleeing the area. Police are still looking for suspects and any possible victims. San Francisco's district attorney says his office will toss out or reduce thousands of marijuana criminal convictions dating back decades, a move allowed by a 2016 ballot measure legalizing recreational use of the drug in California. District Attorney George Gascon says his office will review nearly 5,000 old felony cases for possible action and automatically seal 3,000 misdemeanor cases.